Turning your blog into professional looks. First impression is the last impression. as the phrase telling us to keep everything clean neat stylish, designable & delicious so that viewers likes our job in first impression. A designable theme will attract more and more visitors & will make our blog design perfects for viewers. Always try to use a professional premium template instead of using the default one. It will not only make our blog stylishly but in this way we also saved from so many bugs which has the default blogger template. Also we do not need to customize our blog for many purpose because they have already been customized by Pro Blogger. 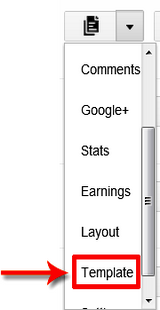 All the main customization will be show here in the feature sections. just scroll down. There are uncountable features by using premium templates or professional template. Here you will learn some of the basic features why Pro Bloggers are using professional Themes. One things should always be remembered if you are serious in blogging and want to do something better in this field this is the foremost job to replace the default and builten blogger template with professional one. So that your blog becomes well known for robots and readers. In this section you will lean all the basic tips how to add new blogger template in blogger new interface. This is so simple process newbies should not worry about it. You will be completed guide and will be able how to do it. Bellow are the simple steps just follow it carefully step by step. Hope you will success once you followed it correctly. To change your template first you will need to download premium or professional template from online template website. You can easily one of the best free premium blogger template from our blog. To download an awesome blogger template from our blog just click one the above following links which i have mentioned above and download the best free template according to your own choice. It will take a minute to when you click on the upload buttons wait until the loading complete and then try to refresh your blog. You will be wondered to see the amazing result. After refreshing now will have a nice template on your blog. Now follow the same process whenever you need to change the blogger theme. 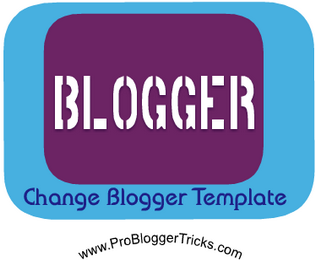 Hi friends this was a nice tutorial which guide us in easy steps about how to change blogger template 2013 by using this simple method. Before this tutorial we have published several tutorial on about the following basic SEO setting & blogger themes. Hope guys this tutorial will help alot keep visiting us & hears for latest updates.Thanks Happy Blogging Journey! Bro please tell me is there any way to revert back to the previous template if we don't have it's backup? I think still there is no way to revert your template with old one once you change your template with new one. 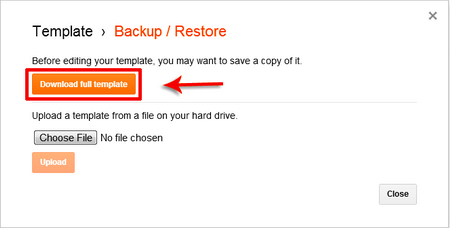 backup is very very important And Being a blogger user we should must backup our template copy in pc. we should must take it backup each several days because if we lose our official template by any chance then we can easily revert that official template. In my opinion this is the right way for blogger user. If someone have a nice trick about this query then you may allow to mention in comments area. Thanks and see you soon here. Thanks Hafeez bro for your wonderful reply. thanks for this tip bro. Oh Man you have you won my heart by placing such nice words about me. Bro in blogging we should work hard and try be easiest to understand each and everyone clearly. This is the best way. Always try to write for newbies if they understand your styles what you have written then i think everyone will surely understand. Thanks and hope to see you again here with PBT. Allah Bless You.....You Become And Listening In No.1 Position in Blogging..
Dear Thanks for prasising me. We always want to intouch with you guys just ask for help we are gathering together. Abdul Samad thanks for encouraging me. You are really on of my top ten commentators. thanks and hope to hear your voice again here with PBT. Thanks Asad Bro for visiting us. You become are loyal friends in the list of top ten commentator. Thanks for landing here. Yes Rizan Bro i agree with you. every blogger user should must backup the copy in his/her pc. so that they can easily revert to the old template whenever they want. this the best way. thanks for mentioning you opinions here. Like to see you soon. Nice Post hafeez but it is too basic. I mean, It is helpful for new bloggers only. I was expecting some advanced stuffs from your side.Anyway, You are doing an exceptional job. Keep writing. Yes Ravi Brother I totally agree with you that it is too basic post for being blogger user. we post it due to some reasons. we should not post like such types beginner posts. we have to do to bring some advance. actually bro there is no light in our village since from the couple of days no ups charging and many mores. i have to go to some other where whenever try to write the new post. also there is our papers practicals going these days. So due to some of the above reasons thats why i have published this posts. See my next tutorial once the problems has solved. we will be rocking there. Thanks Ravi Bro to see you here. we are so happy. Hope to see you all the time with PBT. I am very much happy because some days i find many template but it coulld not adjust or i cant adjust because of i am newbie in blogging. but the 10 free template helping me lot. thnx @Hafeez Khan....please suggest which template is good in these 10 templete. Use monop or Devil workshop blogger template these two template are seo friendly templates and robots lovers. hope you have found your answer.